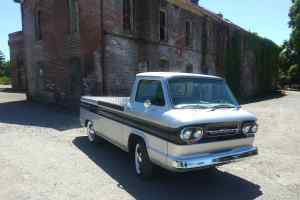 We are huge fans of cab-forward pickups, and this 1962 Chevrolet Corvair 95 Rampside is the best of good (weird) lot. Even seeing an ad for one is a rare treat. 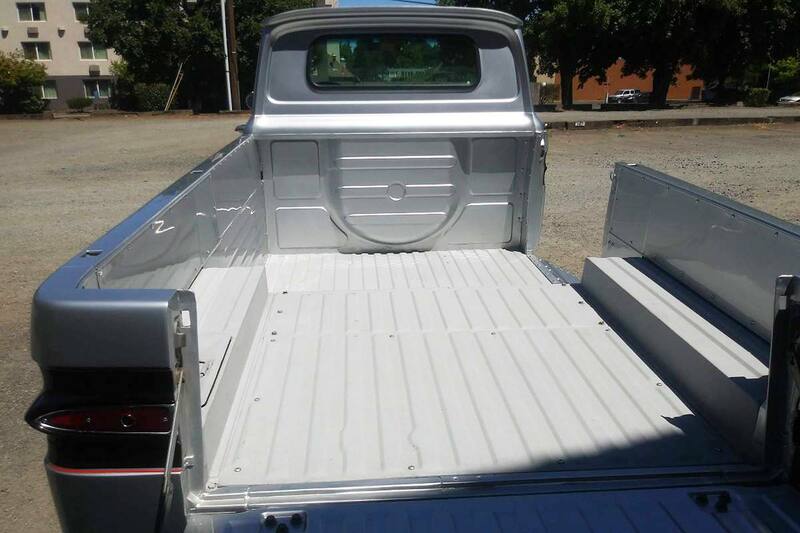 Fewer than 19,000 were made during the 1961-1965 production run, and most were used as intended: as work trucks. 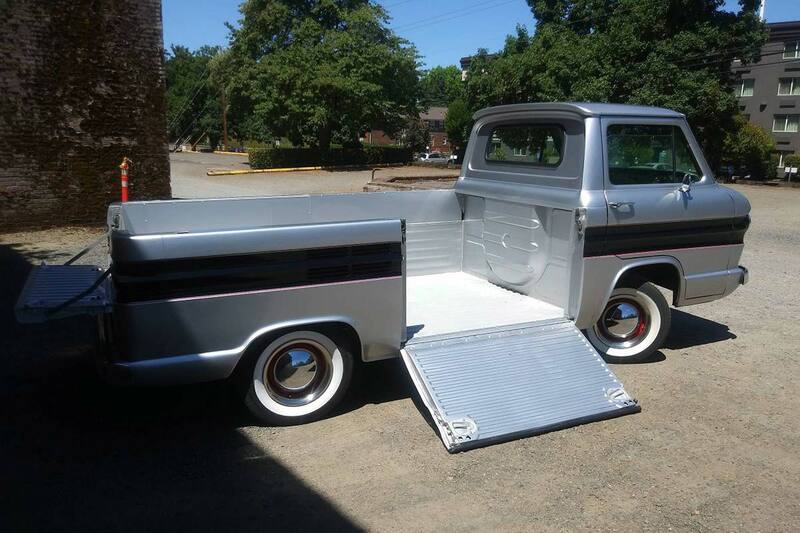 Hard lives do not pristine classics make, but this 1962 model for sale in Vancouver, Washington is a spectacular exception to that rule. The side loader has just 1,500 miles on the clock since its complete restoration. It’s listed at what appears to be a market-correct $18,000, and even perhaps a bit on the low side. 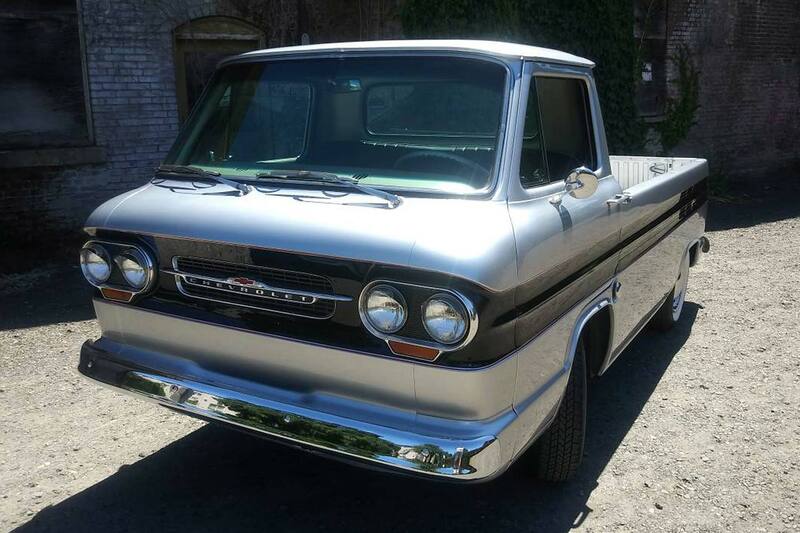 It looks fairly well optioned with chrome bumpers, windshield trim, and round side mirrors. The two-tone paint was standard, as was the two-tone instrument panel on the inside. 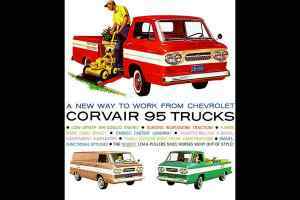 Chevy introduced the Corvair 95 van and truck line for 1961, named for its 95-inch wheelbase. 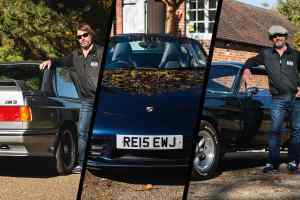 All were powered, like their passenger car siblings, by a 145-cubic-inch air-cooled flat six out back. In pickup form, this created the problem of a bed that was not flat. Chevy improved the usability of the design by adding a loading door on the side. 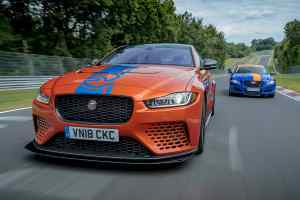 The ramp was nearly four feet wide and swung down up to 22 degrees, with rubber guards to keep that paint from being scratched. A beefy full-length hinge and double-walled construction held up to 1,000 pounds, with a maximum total payload of 1,850 pounds with heavy-duty tires fitted. The design also took advantage of the incredibly low load floor, just 16.5 inches off the ground. 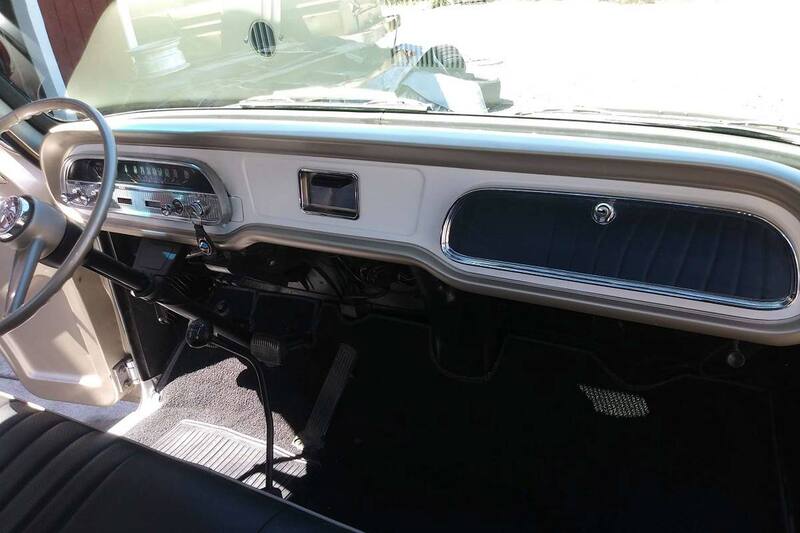 The Corvair 95 used unibody construction with rails under the cargo area for added strength. 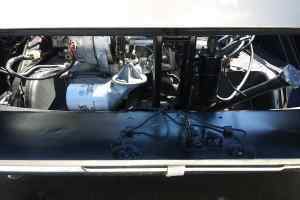 The engine was toughened up for cargo duty, as well. 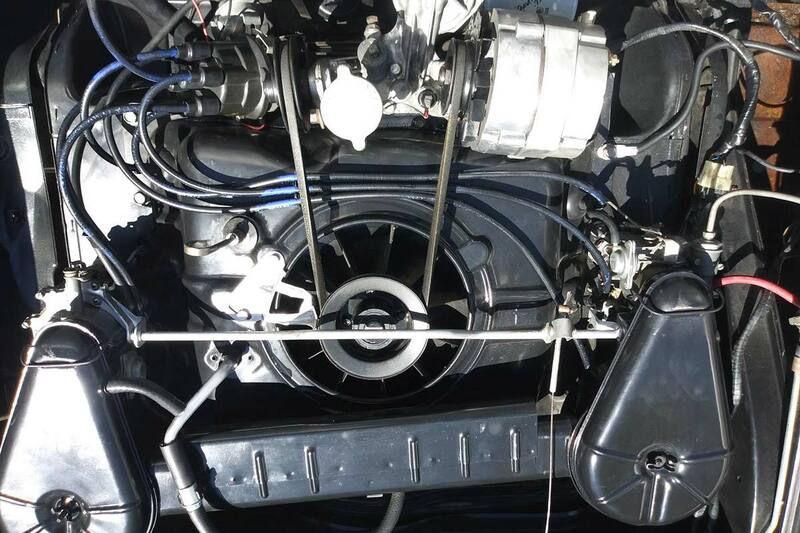 More durable exhaust valves and rotators were used, compression was lowered, and the two carburetors used larger jets for better performance under load. 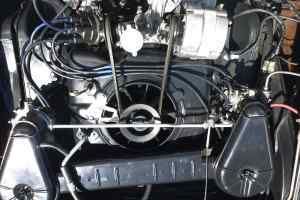 Horsepower was 80; torque was 128 lb-ft. 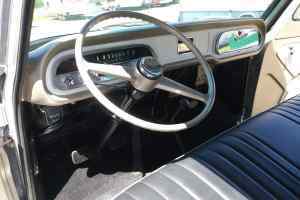 The standard transmission (like the one here) was a three-speed manual, with a two-speed Powerglide as an option. 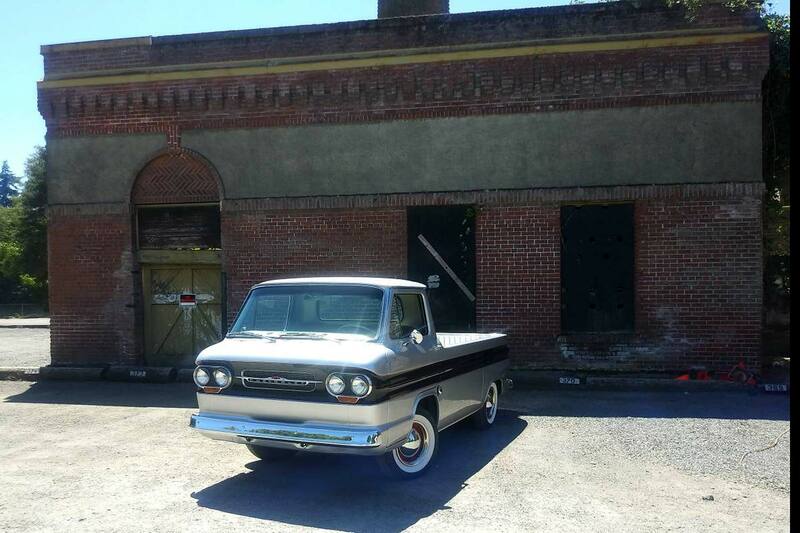 Almost 11,000 were sold in 1961, but numbers quickly dwindled after that. 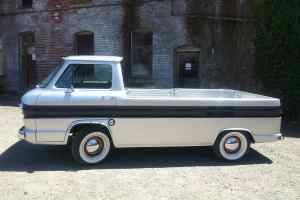 Ford’s forward-control Econoline pickup (1961-67) had its best year in 1963 and outsold the Rampside four to one. It was much more conventional, a bit cheaper, had more power, and got better gas mileage. 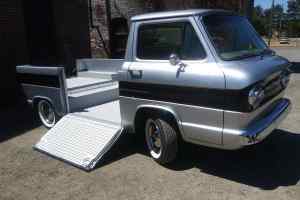 Perhaps more importantly, the Econoline also offered a more useable flat load floor. 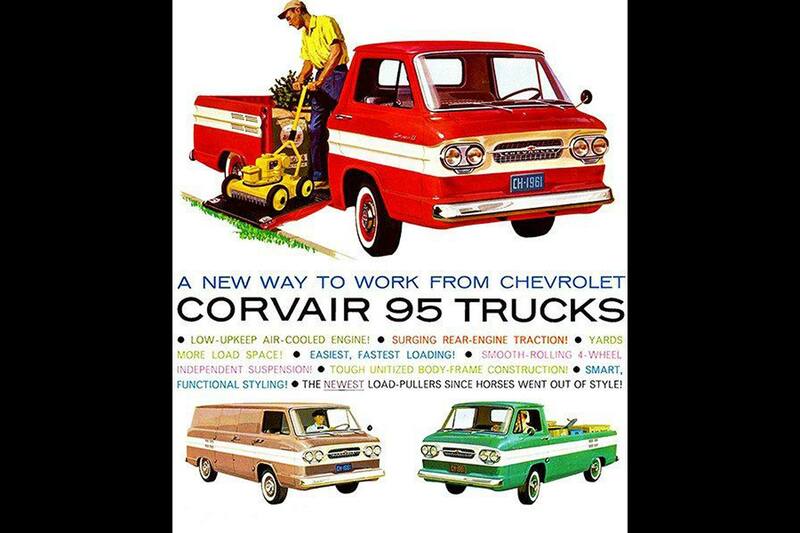 If we had to wager, though, we would bet that Chevy’s biggest competitor at the time was none other than Chevy itself. 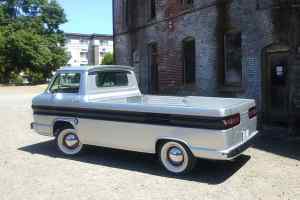 Imagine walking into a dealership in 1963 and carefully examining the Rampside, then looking at the C10 parked right next to it. 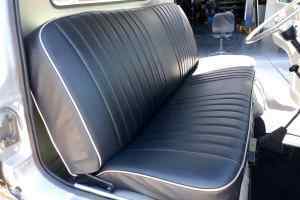 Chevy’s bread-and-butter pickup wasn’t significantly larger, offered almost double the power, and, most importantly, was cheaper. Of the over 400,000 trucks Chevy sold that year, only about one percent were Rampsides. 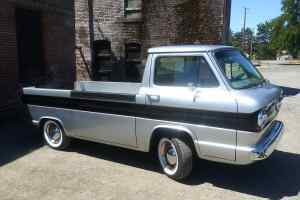 That remarkable scarcity makes this Evergreen State oddball ever more desirable. A pristine convertible Corvair Monza Spider with the 150-horsepower turbocharged engine might fetch up to $25,000, but preserved Rampsides have sold for over $30,000. We hope this one finds a good home. Buyers wishing to turn it into a motorcycle hauler might keep an eye out for a factory-made level platform floor.